New Zealand gelding Sacred Capital stamped himself as a clear favorite for the Macau Derby with a resounding win in Sunday’s G2 Spring Trophy over 1500 metres at Taipa. Prepared by master conditioner Joe Lau and ridden by Peter Ho, Scared Capital showed a dazzling turn of foot from gate 11 to cross and lead the field as they raced into the back straight. With his high cruising speed the striking looking 4YO led them on the bridle and had the big field stretched out over a space of 15 lengths in the run. Once heads were turned for home Ho cut loose and the son of O’Reilly dashed away from last year’s Derby winner Pearl Green (Manoel Nunes). The runner-up pulled the margin back to a length and a half with Luen On Dance Kid (Oscar Chavez) a distant third. Sunday’s race was the third in the enclave for Sacred Capital , who had impressed with his gritty first up win over 1200m on November 23 followed by a close second over 1200 to the smart Lover Paradise after having to work hard from his outside draw. 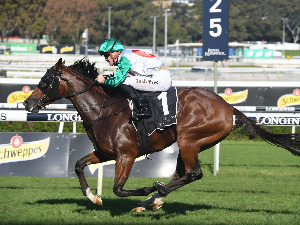 One look at Sacred Capital’s Australian race form and it was evident the gelding was crying out for further and the step up to 1500m on Sunday was made for him. It was Joe Lau’s third triumph in the Spring Trophy having won the race initially in 2007 with Sea Of Jewels and again with Kaaptan in 2011. Lau was his usual reserved self after the win and described Sacred Capital as a nice horse. “That was a good win from the bad draw. 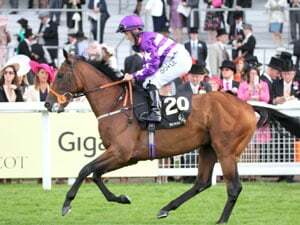 He’s a really nice horse and a pleasure to train but still early days yet to the big day,” Lau said. 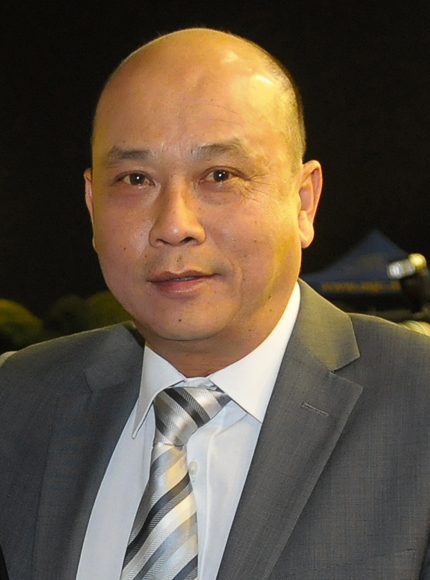 Lau was referring to the Macau Derby, a race that Lau has captured with The Alfonso in 2015 and in 2017 with Sacred Man. Like Sacred Capital they are were raced by Raffles Racing supremo Dato KS Yap and Chen Ching Lung. Sacred Hustler was originally purchased by Ciaron Maher Racing for $NZ580,000 at the 2016 Karaka Ready To Run Sale. “Bruce Sherwin from Raffles picked the horse out as a two year old and was going to buy him on behalf of Raffles, but he went for too much money. Raffles then purchased a small share in the colt that raced in Victoria as Rellson,”Lau said. 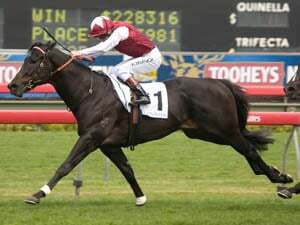 “After he won his maiden at Wangaratta they threw him in the deep end there and he ran well in races like the Carbine Club at Flemington and the Autumn Classic at Caulfield. When he didn’t quite measure up Raffles bought the horse outright for Macau with the Derby in mind. Lau now has the option of tackling the G2 Directors Cup over 1500m on April 13 or the G3 Macau Derby Trial one week later. The G1 Macau Guineas (1500m) follows on May 25 before the Derby over 1800m on July 27. 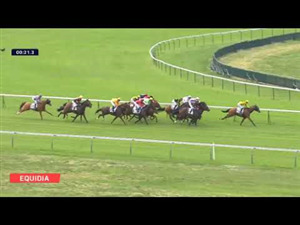 Luen On Dance Kid produced another top effort for third after striking some trouble early but among the present crop of four year olds Sacred Capital does appear to be head and shoulders above them. Exciting three year old Thehorseiswithme continued on his winning way when he destroyed a good Class 2 field to make it five straight wins under regular jockey Luis Corrales. Thehorseiswithme continues to rise to the occasion as he goes up in grade with the Alan Tam galloper producing a personal best of 1.08.5 in the 1200m event. The 3YO classics appear to be at his mercy and a race like the G1 Chairman’s Challenge Cup over 1200m on Macau–Hong Kong Trophy day would certainly be well within his grasp. The win by Thehorseiswithme was Alan Tam’s third winner over the weekend having picked up a double on Friday night with the flying Fasuba (Ruan Maia) and the promising UK import Ojala under Manoel Nunes. Pearl Green picked up his fourth Group win in Macau when he destroyed his rivals in Saturday’s G2 Directors Cup over 1500 metres at Taipa. The final race night of the UAE season was staged on Friday evening at Meydan Racecourse and featured full fields, an enthusiastic crowd and perfect Dubai weather befitting of a 2018-19 season that was lush with brilliance. Al Ain staged its final fixture of the campaign, the penultimate meeting of the UAE season, on Thursday afternoon.